The CryBaby classic is incredibly similar to the vintage pedal that it is named for. Although the functionality and effect are the same, the pedal is EQ’ed a bit differently so that it has a personality that is subtly distinct from the other CryBaby pedals. Like all other single function wah pedals, this thing is incredibly simple to use. You cannot stray from the path with this one. One sound, one function. The GCB95F provides a truly great sweep of the full range of a wah effect without sacrificing any qualities of the tone. It resonates with integrity and fullness throughout the whole range of the pedal. While your tone is better maintained and the sound is undeniably warm, it is perhaps a little too bassy when the pedal is all the way in the toe position. 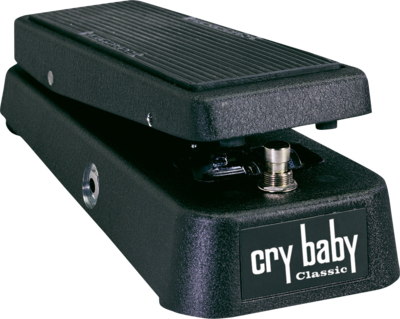 This might be preferable to the original Cry Baby as a live wah pedal for many horn players. Its functionality is the same, but its tonal realities seem to be a bit more geared toward those conscious of maintaining a warm, full tone.